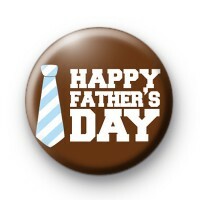 A cute brown happy fathers day badge for all of the hard working dads out there. Complete with a tie to prove who is the boss. Put a smile on your dads face this fathers day with this cute button badge.